To ponder something is to consider it carefully, to meditate on it. And to do so with care and thoroughness. While it can be done any time, it’s special when it’s done during Lent, when we focus our time on what Christ did for us. With Holy Week approaching, the old hymn “Jesus, I Will Ponder Now” is a good one to ponder. Jesus, we will ponder now ……. ……. with the Holy Spirit’s help, may we see Your holy passion, Jesus, as we’ve never seen it before. May we cherish the image of Your suffering, pain, and death. ……. the sacrifice you made. Distress, anguish, deep affliction. Whipped, spit on, crowned with thorns. Nailed to the cross, separated from Your Father. Make us know that it was our sin that took you to the cross. We are the cause of Your crucifixion. ……. and ask your forgiveness. May our grieving show true repentance for what we have done. Forgive us when we bring shame to You in our unholy living. 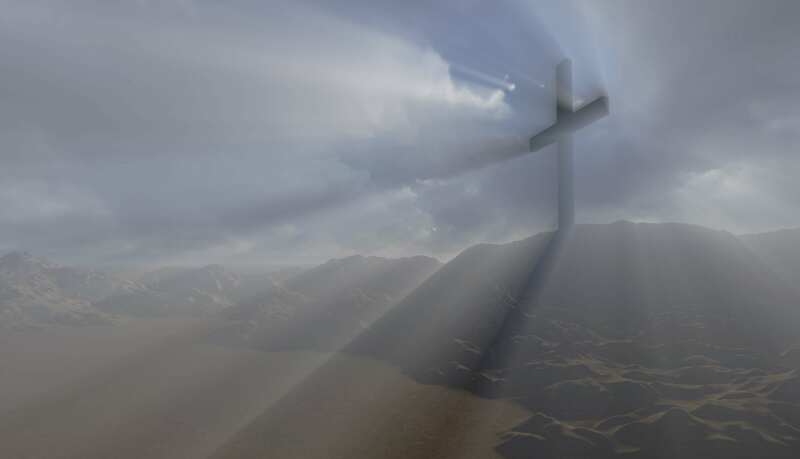 May we shun every sinful pleasure and let your cross disarm our fear. Thank you for forgiveness won by the slaying of Your Son. Compassionate and loving God, we thank you. And now may your Holy Week be a time of pondering Jesus’s sacrifice in anticipation of His Resurrection victory on Easter.